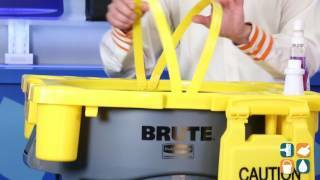 Fits 44 gallon Brute Round Trash Cans 2643 (sold separately). 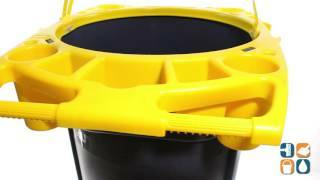 Made from leakproof heavy-duty plastic construction. Includes molded straps for easy attachment/removal of polyliners. Snap-lock feature keeps caddy and cleaning accessories in place even during full bag removal. Dimensions: 32.5"L x 26.5"W x 6.8"H. Shipping weight: 5 lbs.